Finding personal injury lawyers in Los Angeles is easy. Finding great personal injury attorneys isn’t. To find the right attorney for your case can feel like a part time job. For many people, it can be very time consuming to find great attorneys to take their case. This is made all the more difficult by the fact that people usually have to find these injury attorneys while they’re dealing with the aftereffects of an injury and working at the same time. Here at the LA Injury Group, we have what it takes to get your compensation you deserve. In the article below, we’ll go over some of our qualifications and how we can assist you during this time. The key to finding a personal injury attorney is… (drum roll please) to find an attorney who specializes in personal injuries. This may sound like something so completely obvious as to not be worth mentioning, but it’s important. On one level, it’s a question of marketing. After all, so many attorneys say that they’re “personal injury attorneys” (and have ad campaigns to that effect) that it may seem like that’s their sole area of expertise. But then, when you go to consult with them, you can find an entirely different story. Consider: you’re in a motorcycle accident. You’ve suffered a personal injury, and it sure looks like the other party was at fault. You know that the right thing to do for your injury is to go get an attorney. So, you go to a “Personal Injury” law firm and meet with an attorney there. He says you have a strong case, and he agrees to take it. Then, you find out that you won’t be represented by that attorney, but rather a newer, younger, less experienced attorney in the firm who specializes in… auto accidents. Sure, there’s some overlap, but they aren’t exactly the same thing. So, your case could suffer if it’s handled by that law firm. The above scenario may sound like an exaggeration, but we’ve had clients who have told us about that exact same thing happening to them before they reached out to us. This means that you need a law firm that specializes in personal injury cases. On top of that, you need a firm that has experienced personal injury lawyers. These cases are not for amateurs. We understand that this is your life. We know that you need and deserve to have as much compensation as possible for all that you’ve had to go through as a result of your personal injury. We take that responsibility seriously, and put you with an attorney to match it. So, if you go to the LA Injury Group, we put you with an attorney who understands your kind of law. We put you with one who has won cases like yours in the past. Suffered a personal injury? We have personal injury attorneys. Been in a car accident? We have an incredible team of auto accident attorneys. Were you hurt in a motorcycle crash? Our motorcycle accidents team is second to none. Were you on a bicycle or in a big rig? We have attorneys who specialize in those kinds of cases and so many others. There’s an attorney for you, who can put their experience to work for you, at the LA Injury Group. If you’ve been reading these blogs on our site for any length of time, you probably know that a majority of personal injury cases don’t go to trial. Most likely, they’re settled outside of court and in the negotiation room. We have a proven track record of getting our clients what they deserve through skillful negotiation with the other side. By that same token, we always keep our clients in the loop, so that they know how the negotiation is going. If there’s an offer made by the other side, you’ll know about it. You’ll also know our feelings about the offer, whether it’s’ a good one or not. That way, you can make the right decision for your life. That being said, some of our cases do go to trial. We have lawyers who have a proven track record of success there, too. Our attorneys have gone into the courtroom and come out of it with big damages and prizes for our clients. We have gotten to the point where insurance companies and other attorney don’t want to have to go to trial against us. When you develop a reputation as a law firm that’s great in the courtroom, that reputation is present in the negotiation room, too. It puts pressure on the other side to want to make a good offer. That’s one more way that we can help our clients. See, when the other side knows that you can beat them in a courtroom, suddenly they’re far more accommodating when negotiating. They may even make an offer that’s much higher than what they would want to otherwise, just to avoid having to go into the courtroom against us. That reputation can do a lot of negotiating on its own, actually. 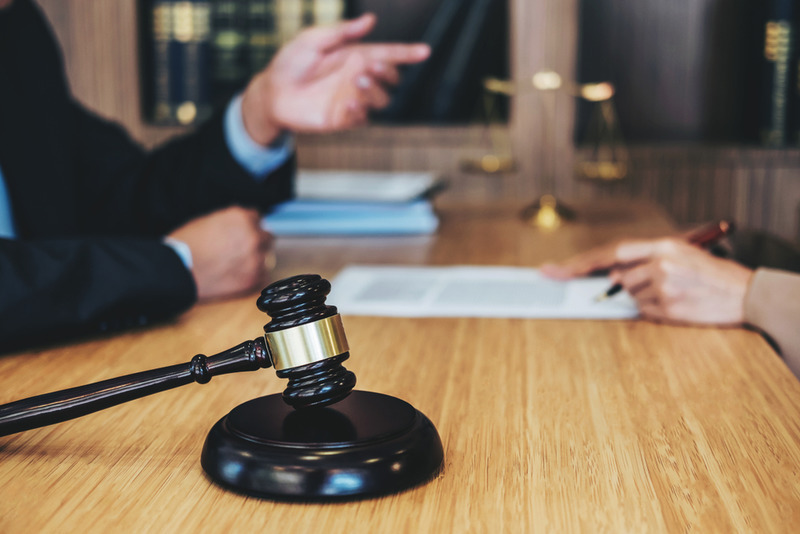 You deserve to have lawyers that relish the opportunity to argue for their clients in the courtroom and also have shown that they can win in the negotiating room, too. Few people understand exactly how much money an insurance company has. They’re, for lack of a better word, loaded. The sheer amount of resources at the disposal of an insurance company is almost hard to quantify. They have so much money. Moreover, they can use all of that money against you. They can hire the best investigators, the best attorneys, the best expert witnesses and whatever else it takes to make sure they don’t have to pay you what you’re owed. This can make it extremely difficult for many law firms to be insurance companies. Here is one more area where the LA Injury Group is set apart from the rest: we have resources, too. When you take on an insurance company with us at your side, you won’t be outgunned. You won’t be out resourced. They won’t feel like they’re able to simply “buy” the case, because they know we’ll be able to match them. They get investigators, we’ll get investigators. They bring in expert witnesses; we’ll bring in expert witnesses. For example, if you’re injured in an accident and they get accident reconstructionists, we’ll do the same thing. Whatever it takes to win your case, we can do. They go out and get the best attorneys, we’ll go head to head with them as well. We’ve taken on some big names and gotten our clients bigger prizes. You can ask our past clients about it, and they’ll tell you exactly what we were able to do for them. Insurance companies want you to be intimidated every step of the way. From the moment their insurance adjuster offers you a low ball offer to the moment we go to negotiate against them; they want you, the injured person to believe they can’t be beat. Believe us: they can. We’ve done it before and we’ll do it again. Those are just a few of the qualifications you want to look for in your personal injury attorneys. We know that you have a lot of choices for your personal injury case, but our resume is deep and strong. We’d love to sit down with you and figure out how we can help your case. We understand how hard it can be to start one of these cases, so we offer free consultations just to talk. Give us a call at (818) 210-4558 or head to our site.